Atlas FAI Indian Valley has three locations conveniently located in the heart of Montgomery County, PA. Our goal is to educate each patient regarding their condition and begin a treatment program with the highest quality of care and compassion. Whatever your foot condition, we'll work together to find the answers that will comfort you and bring you relief. We invite you to call our office with questions and to schedule an appointment at Atlas FAI Indian Valley. Indian Valley Podiatry Assoc. P.C. Dr. Philip Bresnahan received his Bachelor's degree from the University of New Hampshire in 1981. He received his Doctor of Podiatric Medicine degree from the Pennsylvania College of Podiatric Medicine (now named Temple University School of Podiatric Medicine) in Philadelphia, Pennsylvania in 1985. He completed his surgical residency at Montgomery Hospital in Norristown, Pennsylvania. 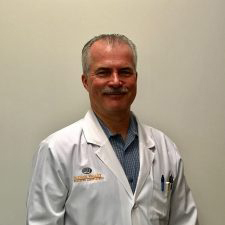 Dr. Bresnahan is an Assistant Professor of the Department of Podiatric Orthopedics at the Temple University School of Podiatric Medicine in Philadelphia, Pennsylvania where he specializes in pediatric foot and ankle disorders. He was awarded Diplomate status from the American Board of Podiatric Surgery in 1990 and is a Fellow of the American College of Foot and Ankle Surgery. In addition, he held the position of President of the American College of Foot and Ankle Pediatrics from 1994 to 1996. Dr. Bresnahan is a nationally known speaker and has written several journal articles. He is a member of the American Podiatric Medical Association, Pennsylvania Podiatric Medical Association and the Bucks-Mont Podiatric Medical Association. Dr. Bresnahan is on staff at Grand View Hospital. He has been in private practice for over 20 years. This is my second time with Dr. Bresnahan. Both visits were for minor injuries. Their office is very clean, staff is friendly and Dr. Bresnahan was thorough, informative and had a great bedside manner. Again, my visits were for minor issues but both times I was taken back and seen very quickly and treated within a reasonable amount of time. I would highly recommend. Needed my son in to be seen in a pinch and they made the appointment happen. I was seen at my exact appointment time, Dr. Bresnahan was kind and explained everything he was doing clearly. Great experience.